Formed in 1952, the Modern Jazz Quartet influenced the landscape of contemporary jazz for over 40 years. With elements of classical music blended with cool jazz and blues, <i>The Golden Striker</i> epitomizes their elegant brand of jazz. 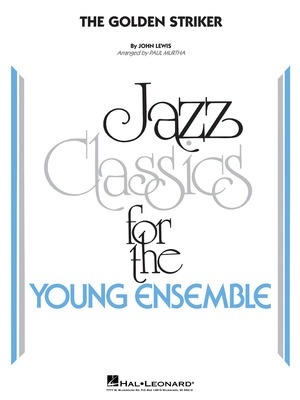 This hard-swinging chart features the unique counterpoint of the original, along with feature spots for the bass, saxes, and an optional open solo section.